How to use: Apply a few drops of Faitoz-25 serum in the morning and Faitoz-25 cream at night before going to bed. For best results, apply on a clean dry face for optimal results. Total ingredients:Hyaluronic acid, Argireline, Matrixyl 3000, Snap-8 , Vitamin C Ester, Vitamin E , Leucidal. This 4oz. 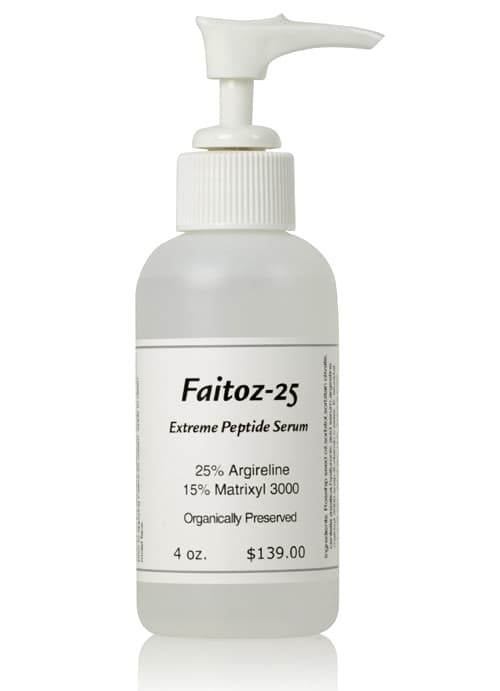 size of Faitoz-25 offers you great value since each ounce of product only costs you less than $26 per ounce when you apply the sale coupon code at checkout. 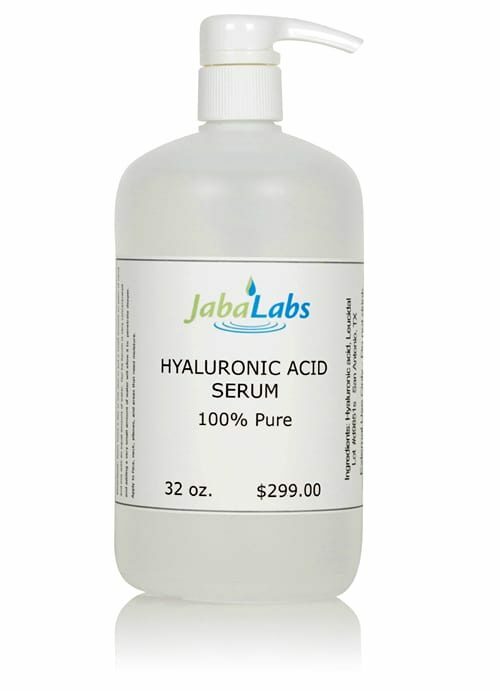 50% pure hyaluronic acid serum that is organically preserved. This is the purest and most effective low molecular weight hyaluronic acid on the market today. 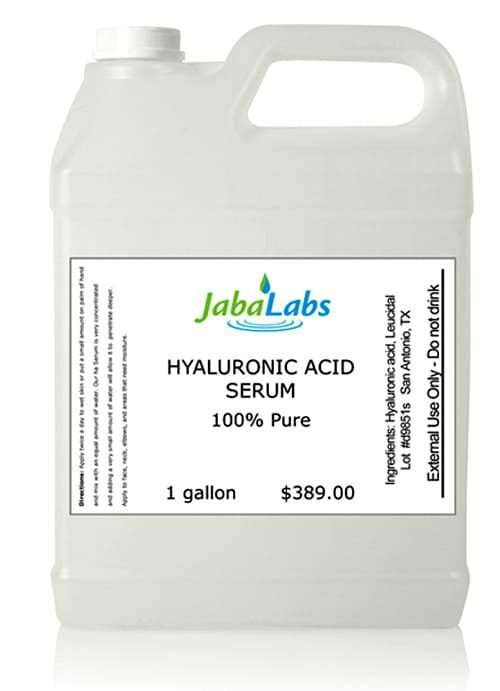 JabaLabs hyaluronic acid serum is a premium all natural moisturizer. 25% Argireline Peptide – This is the brand name for Acetyl Hexapeptide-3. Argireline is completely non-toxic, safe and has no side effects. 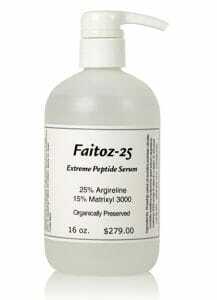 Faitoz-25 Argireline serum contains the highest concentration of Argireline available today. 15% Matrixyl 3000 Peptide – It is made up of two premium peptides, Palmitoyl Oligopeptide and Palmitoyl Tetrapeptide – 7. Matrixyl 3000 allows you to retain your face elasticity. 10% Snap-8 Peptide – It is an anti aging peptide from the Argireline family that complements the effects of Argireline and Matrixyl 3000 to make the best peptide cocktail ever. Snap-8 allows you to retain your face firmness. Many people suffered with oily skin and acne as teenagers. Red blotches, blackheads, full-on breakouts, during puberty the average teen’s skin usually went through more trauma than six of the most popular soap opera stars combined. “Look on the bright side,” our mothers would tell us. “If your skin has that much natural oil you’ll never have to worry about wrinkles.” Mom may have been spot on with a lot of things, but that certainly wasn’t one of them. The truth is that, no matter what our faces did during our teenage years, aging has a way of turning even the greasiest of skin into the Sahara Desert over time. Most oily complexions move inward when it comes to their drying cycles. For example: people with cheeks that were at one time completely covered in oil may start to notice that the outer areas below the ears are becoming less greasy. This area will continue to expand over time until the majority of the check is of normal or even dry consistency and the traditional “T” spot of oil – the entire forehead along with the nose and chin areas – becomes much more pronounced. This is the time when most people are at odds with their facial cleaning system as the high-alcohol astringent products – those that have been a bathroom staple since high school and work by stripping as much oil away as possible – are now counterproductive to the dryer cheek areas yet any form of moisturizer only serves to make the T-zone more greasy. Luckily, scientists have now discovered peptide serum and both ends of the skin spectrum, oily and dry, are covered at once. Peptide may be purchased by itself for a more intensive formula yet it is also available in a wide variety of skin care products. By spreading these on the face, oil and bacteria is immediately removed to clean even the greasiest of areas without over-striping. However, that is only the first step of the process as the serum then continues onward and is absorbed into the skin to alleviate dryness by working with skin cells to apply more moisture where needed. The result is a combination face both cleaner and healthier than any single product could manage. Teenage and adult skins are definitely different. And the acne that many suffer in both stages is enough to drive anyone crazy. Peptide serum knows, understands, and is ready to help. I would give it 5 stars because the product works really well, however, sometimes it is out of stock and if I stop using it for about 3 weeks, my big forehead wrinkles come back. I bought this peptide serum for wrinkles I have around my eyes, I have lived in Florida for over 20 years and I have skin damage around my eyes which means lots of crows feet. I have been using this product for 6 months now and it has reduced my crows feet by a lot, it also keeps my skin hydrated during the day. 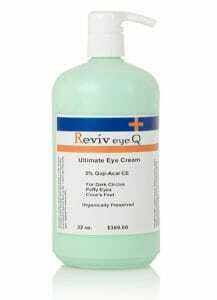 Awesome product, it really got rid of most of my crows feet and reduced by a lot a big wrinkle I had between my eyes. I also noticed it plumps my skin and it feels and looks a lot healthier. This is an excellent product for my crows feet. I had very heavy crows feet that looked really bad when I smiled. I have been using this peptide serum for several months now and there has been a great reduction on the size of my crows feet, I have very little expression lines and I really think it was the peptide serum I bought here. If you apply this serum twice a day you will start to notice within a month less wrinkles around your eyes, this is what happened to me. Highly recommend this peptide serum for crows feet. I had very pronounced wrinkles around my eyes and they were very noticeable when I smiled and was conscious about it. My mother recommended I use the peptide serum that was on special so I decided to give it a try. It has been about two months that I started using the peptide serum twice a day and my crows feet have been getting smaller and less noticeable.